Genome evolution is the process by which a genome changes in structure over time, through mutation, horizontal gene transfer, and sexual reproduction. Of all these processes, natural selection is generally considered the most “important” one. How can we efficiently connect human-specific genomic changes to phenotypes? Sequencing the genomes of thousands of humans, several archaic humans, and our closest great ape relatives has revealed thousands of loci in the human genome that have experienced accelerated evolution on the human lineage and hundreds more with signatures of recent positive selection. These loci hold the promise of explaining much of human-specific biology, and many hypotheses have been proposed about their effects. Human evolution is the lengthy process of change by which people originated from apelike ancestors. Scientific evidence shows that the physical and behavioral traits shared by all people originated from apelike ancestors and evolved over a period of approximately six million years. One of the earliest defining human traits, bipedalism — the ability to walk on two legs — evolved over 4 million years ago. Other important human characteristics — such as a large and complex brain, the ability to make and use tools, and the capacity for language — developed more recently. Many advanced traits — including complex symbolic expression, art, and elaborate cultural diversity — emerged mainly during the past 100,000 years. Humans are primates. Physical and genetic similarities show that the modern human species, Homo sapiens, has a very close relationship to another group of primate species, the apes. Humans and the great apes (large apes) of Africa — chimpanzees (including bonobos, or so-called “pygmy chimpanzees”) and gorillas — share a common ancestor that lived between 8 and 6 million years ago. Humans first evolved in Africa, and much of human evolution occurred on that continent. The fossils of early humans who lived between 6 and 2 million years ago come entirely from Africa. Most scientists currently recognize some 15 to 20 different species of early humans. Scientists do not all agree, however, about how these species are related or which ones simply died out. Many early human species — certainly the majority of them – left no living descendants. Scientists also debate over how to identify and classify particular species of early humans, and about what factors influenced the evolution and extinction of each species. Early humans first migrated out of Africa into Asia probably between 2 million and 1.8 million years ago. They entered Europe somewhat later, between 1.5 million and 1 million years. Species of modern humans populated many parts of the world much later. For instance, people first came to Australia probably within the past 60,000 years and to the Americas within the past 30,000 years or so. The beginnings of agriculture and the rise of the first civilizations occurred within the past 12,000 years. Tags Acquisition of New Genes by Gene Duplication How can we efficiently connect human-specific genomic changes to phenotypes? 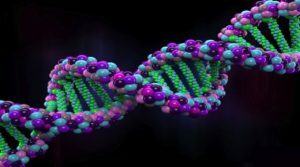 Human Evolution The Evolution of Human Genome The Last Mile on The Evolutionary Road of The Human Genome What is e Evolution of Human Genome? What is Human evolution?